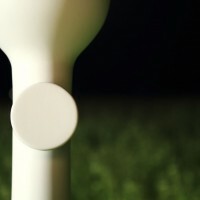 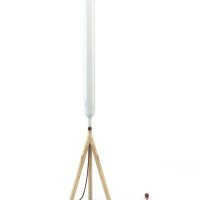 Greek designer Dimitrios Stamatakis has created the Lighthouse Lamp. 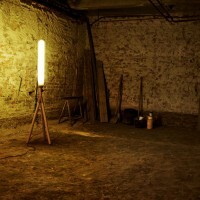 Lighthouse Lamp’ reflects the philosophy, that objects have an independent validity of their own and can therefore exist autonomously regardless of their surrounding environment while at the same time they have the ability to transform and re-establish the space. 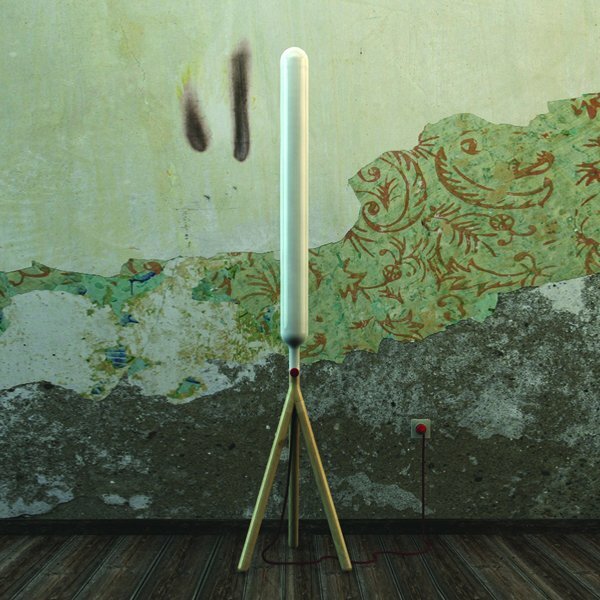 Like a lighthouse, the lamp is intended to define its own environment through its functionality and presence in space; it is designed to develop a sense of orientation through radiation of light and energy, and influence in a positive way those around it. 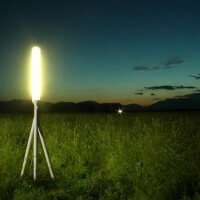 The vertical use of the light which defines its form and design, provides a 360º diffusion of light in space while it is placed on the top of a tripod. 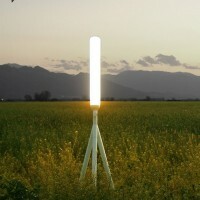 In this way it offers a monumental character to the lamp seeking to attract life close to it. 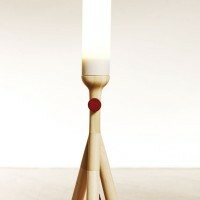 “Lighthouse lamp” is made of soft maple wood, borosilicate glass (known for having very low coefficients of thermal expansion (~3 × 10?6 /°C at 20°C), which making it resistant to thermal stress and gives to it properties of high heat diffusion, more than any other common glass) and a 60cm customized led square rod from warm white 24v led strips and a dimmer. 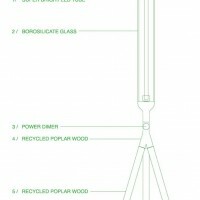 It is produced on a 12 pieces limited edition series in collaboration with Paris based Tools Gallerie (www.toolsgalerie.com), which is the exclusive distributor in France. 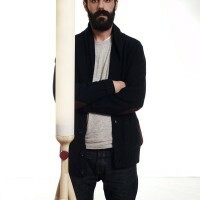 Visit Dimitrios Stamatakis’ website – here.